In the middle of the summer when housing activity normally reaches its peak time, both home sales and prices are heading up, according to the July 2016 RE/MAX National Housing Report . Strong homebuyer demand resulted in a 9.4 percent increase in home sales from May to June as well as a 0.7 percent increase from June 2015 to June 2016, according to RE/MAX. The median sales price of homes rose by 2.2 percent over-the-year in June up to $229,900. Inventory, however, remains a significant challenge. RE/MAX reported that the number of homes for sale in June 2016 was more than 15 percent lower than in June 2015. Inventory was especially a challenge in West Coast metros. The national months supply of inventory was 3.2 in June, which was a slight improvement from May’s 3.0, according to RE/MAX. 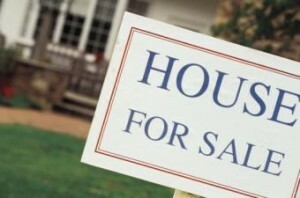 Out of the 53 markets surveyed, 31 reported higher home sales than a year ago in June. Home sales were the strongest in the Northeast, with the largest increase occurring in Augusta, Maine at 22.7 percent. Other Northeast markets that saw double digit increases in home sales were New York, New York (13.1 percent); Trenton, New Jersey (11.1 percent), and Hartford, Connecticut (10.2 percent). Only four of the 53 markets surveyed reported a drop in median sales price from a year ago, with seven of the markets reporting double-digit increases. The largest median price increases occurred in Tampa (14.1 percent), Orlando (13.9 percent), Honolulu (13.1 percent), Portland (12.6 percent), and Denver (11.1 percent).